Main opposition Republican People’s Party (CHP) deputy Muharrem İnce claimed on Friday that the ruling Justice and Development Party (AKP) government is planning to dismiss 300,000 more state employees once the “yes” camp comes in with a victory in Sunday’s referendum on a constitutional package that will change country’s system of governance to an executive presidency. “I am calling on civil servants, teachers, police officers, accountants, nurses and all other [state employees]. Are you out of your minds? Can someone say ‘yes’ to this [in the referendum]?” he added. 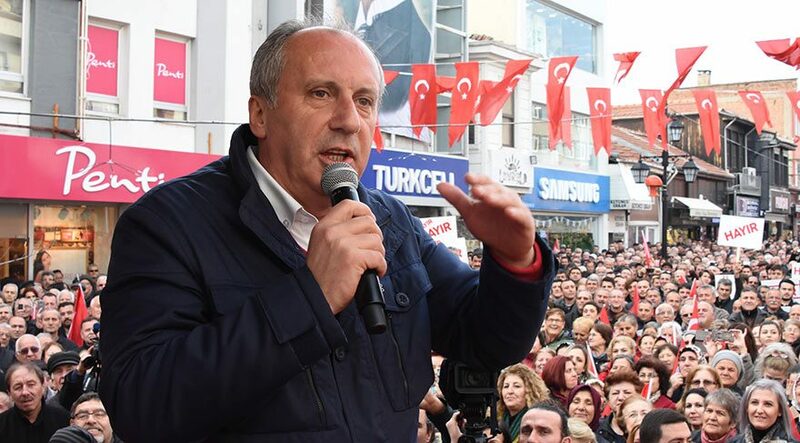 Underlining that Sunday’s referendum will define not by whom but how Turkey will be governed, İnce said the country will be dragged into the league of Third World countries once the “yes” camp wins. The April 16 referendum will grant excessive powers to President Recep Tayyip Erdoğan and switch Turkey to an executive presidency. During a state of emergency that was declared by the AKP government following a failed coup last July, over 135.000 civil servants, mainly dissidents, have been purged from state jobs due to their alleged links to the coup.